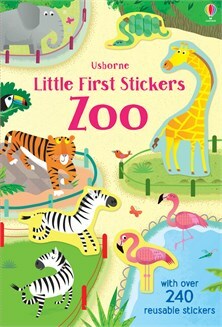 Turn the pages to explore an amazing zoo filled with elephants, lions, tigers, flamingos, giraffes and more. There are lots of scenes to fill with animals, including an aquarium, monkey enclosure, lion’s den and more. With over 240 reusable stickers, and a fold-out back cover to store stickers when not in use.